With the new Google Play Music—a smarter, more assistive music streaming service—we strive to deliver the right song at the right time and place to more people. That’s why we’ve teamed up with Samsung, the world’s largest Android smartphone maker, in a partnership to make it even easier and faster for Samsung customers to get the right music no matter where they are or what they’re doing. It doesn’t stop there—just like our integration with the Assistant on Google Home, Google Play Music will work with Bixby, Samsung’s new intelligent interface, when it launches later this spring. Subscribers will be able to ask Bixby to play their favorite song or music for dancing and it’ll start playing on Google Play Music instantly. 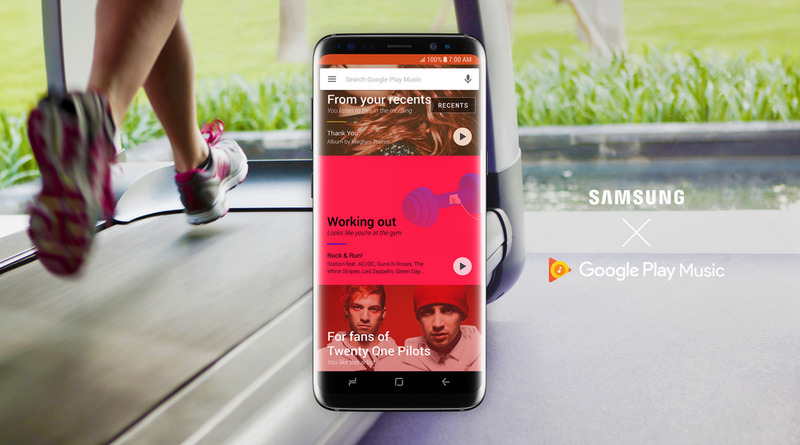 We’re thrilled to bring this special version of Google Play Music to Samsung customers anywhere, and we look forward to bringing the best music experience to your Samsung device. Together, we’re committed to delivering the perfect soundtrack to make your everyday moments better.